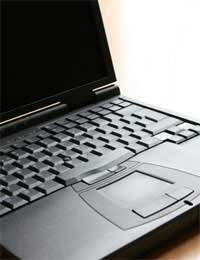 Home > Ask Our Experts > Legally, Can I Keep the Second Laptop? I recently bought a laptop online and the website failed to deliver on time, they sent the item the following day BUT the day after that they also delivered another one! My friend told me that after a certain amount of time the company would be unable to reclaim the item and it would legally be mine. Is this true or is it just cheeky, wishful thinking? Since 2000, the regulations surrounding this type of occurrence have changed somewhat. Before 1st November 2000, the law stated that the company that sent out any unsolicited goods received before this date had to be notified. The sender was then responsible for collecting the items within 30 days. After six months the receivers would be able to claim the unsolicited goods as their own. As the receiver, you have no obligation to pay for the return costs of the goods if they are unwanted. If the company does demand payment for return costs, report them to your local Trading Standards Department. Inform the company of the mistake, and wait to hear back from them. They should send you details of how to return the item with minimal inconvenience and no cost. I ordered a wardrobe online and received it and today a second turned up, but don’t have any room to store it. Am I within my rights to tell the company that they have a week to collect it or I am going to throw it in the bin? Hi, I have recently upgraded my mobile phone with my provider, I originally ordered to my home address and called to change the address as nobody would be home to accept delivery so instead I insisted on this being delivered to my work address where it would be signed for, I got the phone no issues at all however the next day a parcel came to my home address which was signed for by a neighbour. I got the parcel and it was another phone exactly the same as my new upgrade, I have contacted my provider to ensure my account is set up correctly and I was only being billed for one phone to which they confirmed, no mention of the second phone, they haven't yet asked for it back or even mentioned it to me despite two phone calls since delivery, do I send this phone back? Can I keep it? Any help appreciated thanks! I ordered a piece of garden furniture at a show and the company scribbled my name and address down and said they would be in touch regarding delivery. A few weeks after on 1st May I received a random text saying we can deliver your chair on Thursday. No name or details of company etc were included so ignored it thinking it was sent to the wrong number or the delivery wouldn't go ahead as I haven't confirmed to deliver anything. On the Thursday evening there was a knock at the door and the man we spoke to at the garden show had delivered the item to the front of the house. I explained that I didn't confirm a delivery with him and he said he had text to say he can deliver and I explained that I never confirmed delivery and didn't have payment on me for the goods. He said not to worry and just call the office to make payment. We are now 6 weeks on and I cannot get hold of anyone at the company to make payment. I have left quite a few messages for them to contact me but nothing. What should I do.? Is there a postal address? Why not send a cheque? I ordered a jug over the internet. A month later I emailed to say "where is it". Sorry out of stock. Will take off the website and will issue a refund. A week later no refund. I phoned "oh sorry" we will issue a refund today and send compensation. Refund arrived and a "Granny style" book, sold by them as compenstaion (no relevance whatsoever). Meanwhile the jug is STILL advertised on their website. Is this legal? No, ask the retailer if they want it returned. As long as you are not inconvenienced in attempting to return, they can ask for it back. Hello. I have recently sent a faulty item to a company and they sent a replacement using a courirer. Due to a mistake in the delivery address the item bounced around various depots and after a week I made a major complaint about this. The company replied by email saying that they sent a new replacement "in order to avoid waiting any longer for courier to try and rearrange delivery of a potentially missing or problematic parcel delivery".The thing is, I have then received both parcels within a week. As I have not paid for the item, being a replacement, and being still very angry for the wait, I do not feel correct that I should be the one alerting the company that I received both parcels. Also they have not mentioned that I should tell them if I receive also the first delivery, so I would like to understand if this can be a case where I am entitled to keep both items, as compensation for the stress, or if there is a limit of time for the company to claim one of the parcels back, given that they ever go and see from the tracking page if an item were delivered or not. Thank you in advance for your answer. No, you should inform them that both items have arrived. The company should arrange to collect the surplus item, but you should not be inconvenienced by this (i.e you shouldn't have to take it to a depot or wait in for it to be collected). Hello. I have recently sent a faulty item to a company and they sent a replacement using a courirer. Due to a mistake in the delivery address the item bounced around various depots and after a week I made a major complaint about this. The company replied by email saying that they sent a new replacement "in order to avoid waiting any longer for courier to try and rearrange delivery of a potentially missing or problematic parcel delivery". The thing is, I have then received both parcels within a week. As I have not paid for the item, being a replacement,and being still very angry for the wait, I do not feel correct that I should be the one alerting the company that I received both parcels . Also they have not mentioned that I should tell them if I receive also the first delivery, so I would like to understand if this can be a case where I am entitled to keep both items, as compensation for the stress, or if there is a limit of time for the company to claim one of the parcels back, given that they ever go and see from the tracking page if an item were delivered or not. Thank you in advance for your answer. Give the retailer a call and tell them you've been sent the goods in error. They should advise you how to return the items if they want them back. This should not be at your expense orcause you inconvience. I ordered £1500 worth of bedroom furniture online but when it came to pay the total was £9.99 (postage only) and a discount of £1500 so I continued on and they’ve only taken the 9.99 but the items have started arriving today, will I be billed for them? Ask the retailer what they would like you to do. If they want you to return it, they should pay the return postage as it's their error. No it's not acceptable - it was their error, they should rectify it. Email the company and tell them of their mistake. Give them 14 days in which to advise you on how to send the item back (at no cost to you) and inform them that if you do not hear from them by the deadline, you will keep the item. Make sure you keep a copy of the email and that it is sent to the email address (or postal address) on the retailer's website. Hi, I recently placed an order for 3 items which I received along with 2 additional items I didn't order. One was a duplicate of one of the ordered items and one was something completely different. In the package with extra items was a dispatch note which was incorrect, it showed the duplicate item plus one or my ordered items. I sent the following email to the supplier:I have received my order but have the following issues:The size M ladies jacket arrived first and was a little too big - it also has a price tag saying g £19.50 on it, making me wonder if I was going to be over charged in the first place.When the size L jacket arrived with the hoody it was exactly the same size as the medium jacket- leaving me wondering if the medium was faulty and if it had been correctly sized would it have been a better fit. The two are identical in every way except the size on the inside label is different. I find this disappointing and it makes me question the quality and reliability of your products and sizing.I have also received an additional parcel which I am going to be honest enough to declare (many people would just keep it and not say anything) - it contains a second red hoody and an additional light blue zip up one in the same size.I look forward to your response as to what action should be taken.I have since returned all 3 ordered items but still have the 2 additional items. Should I try to contact the company again? Am I entitled to keep these items? Many thanks in advance. No you should just send them all back. You are not entitled to keep items sent to you in error. Hi, I recently placed an order for 3 items which I received along with 2 additional items I didn't order. One was a duplicate of one of the ordered items and one was something completely different. In the package with extra items was a dispatch note which was incorrect, it showed the duplicate item plus one or my ordered items. I sent the following email to the supplier: I have received my order but have the following issues: The size M ladies jacket arrived first and was a little too big - it also has a price tag saying g £19.50 on it, making me wonder if I was going to be over charged in the first place. When the size L jacket arrived with the hoody it was exactly the same size as the medium jacket- leaving me wondering if the medium was faulty and if it had been correctly sized would it have been a better fit. The two are identical in every way except the size on the inside label is different. I find this disappointing and it makes me question the quality and reliability of your products and sizing. I have also received an additional parcel which I am going to be honest enough to declare(many people would just keep it and not say anything) - it contains a second red hoody and an additional light blue zip up one in the same size. I look forward to your response as to what action should be taken. I have since returned all 3 ordered items but still have the 2 additional items. Should I try to contact the company again? Am I entitled to keep these items? Many thanks in advance. I purchased a case of wine (6 bottles) from an online company on the 22nd of December and they arrived late on the 11th of January and my order was completely wrong. I've tried for the past week to contact the company via email and leaving voicemails, I've tried to ring in the past few days and my call doesn't go through. I've googled reviews of said site of which numerous complaints are being made as they are irngoing other customers who either haven't received ordered or who have recieved the wrong order like myself. How do I get a refund if I can't get in touch with the company?I was also wondering Is this classed as unsolicited goods? The wine was bough specifically for a party and I'm now only left with this wine and I was wondering whether they can legally charge me and or ask for me to return said wine? Thank you! I recently made a large purchase of £4000, my bank declined the payment.a week passed and I got sent a tracking number for the items I'd attempted to purchase, I called up my bank to double check the payment wasn't pending and they said no, we declined the payment as it looked fraudulent and we wont be allowing this merchant to take money. Today, my goods arrived but I still have not been charged nor heard from the company. But the goods that have arrived are also missing 1 item ( I ordered 3 laptops but only received 2) Where do I stand on this and what can I do? Contact the retailer to ask how to return the items as they have sent an incorrect number of items and you haven't paid for them! I recently made a large purchase of £4000, my bank declined the payment. a week passed and i got sent a tracking number for the items i'd attempted to purchase, I called up my bank to double check the payment wasn't pending and they said no, we declined the payment as it looked fraudulent and we wont be allowing this merchant to take money. Today, my goods arrived but i still have not been charged nor heard from the company. But the goods that have arrived are also missing 1 item ( i ordered 3 laptops but only received 2) Where do i stand on this and what can i do? Can you not arrange to leave it somewhere to be picked up for collection? If you goods were sent twice due to retailer error,you be able to return them free of charge and without inconvenience to yourself. Contact Asda customer services and explain that it's not convenient to have it collected midweek and as it's not your error, you cannot take time off work etc. I had, what I presume is a new phone, sent to an unknown person at my address about 4 months ago. There was also a separate letter that was delivered to my house. I still haven't opened it as I presumed the company who sent it would have got back to me to ask for it back, or even the lady who's name was on the package. Neither have. What do I do now? You should have contacted the company that sent it at the time. They clearly put the wrong address on, so may not have realised where it was sent (in order to get it back). It's not an unsolicited item because it wasn't addressed to you. In these cases you should always, either contact the sender, or simply put not "known at this address, return to sender" on and take it to a post office/put it in a letter box. Hi,I recently ordered some trainers from New Balance which came the following week. I have ran in them and very much intend to keep on using them!However, I have since received a duplicate order that I have not paid for or requested in anyway. I am happy to get in touch with them for them to pick it up but since I work 6 days a week is there a timeframe I'm allowed to enforce? i.e. As a customer we have "30 days" to return goods - is there something similar from my end?Thanks. Just give the retailer a call or email them. They should be able to provide you with an easy/convenient option for returning them (eg. via a local store with late opening, or collection from your workplace etc). If they can't do this - they may let you keep them!! Hi, I recently ordered some trainers from New Balance which came the following week. I have ran in them and very much intend to keep on using them! However, I have since received a duplicate order that I have not paid for or requested in anyway. I am happy to get in touch with them for them to pick it up but since I work 6 days a week is there a timeframe I'm allowed to enforce? i.e. As a customer we have "30 days" to return goods - is there something similar from my end? Thanks. I ordered an item from Debenhams which did not arrive. I contacted them and they said it was lost in transit so sent a new one, my neighbor then delivered it to me 3 days later so I now have two of the item. Am I obliged to return it? Yes you should return these unless Debenhams say you can keep them.